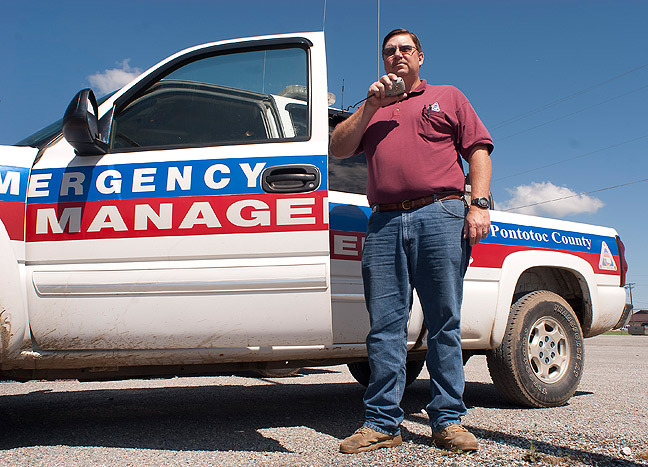 Pontotoc County Emergency Management Director Chad Letellier works at the Emergency Operations Center at the Pontotoc County Agri-Plex recently. Approaching this bridge revealed that the signs and Chad’s advice were right: the bridge was out, but we could all get across using what Chad described as a “shoo fly,” which was a dirt round down and around the bridge. As I got close, I started hearing chatter on the fireground frequency, 154.355Mhz, which is a simplex (car-to-car) channel, so I knew I was getting close. 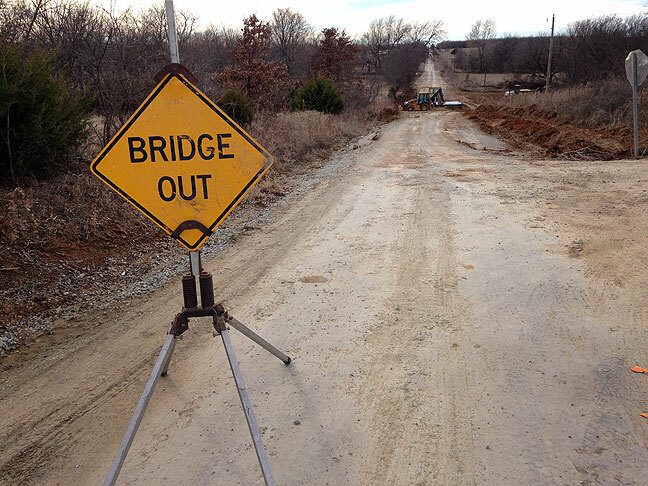 At the scene, I turned onto a two-track farm trail and flipped on the all-wheel drive. Area firefighters make their way through a pasture after working to extinguish a wildfire estimated to cover about 50 acres in the vicnity of County Roads 1610 and 3445 northwest of Roff Wednesday, Jan. 28, 2015. The yellow arrow shows where I parked my car to make the image below. The nearest town, Roff, population 500, is about six miles southeast of this location. 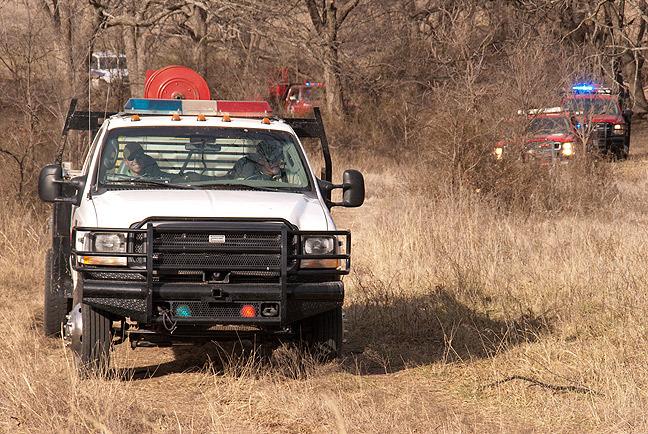 As I approached a creek, I saw some of the brush trucks coming out, so I pulled over and got out to make a few images. On the frequency I heard, “That’s The Ada News. Who got their pictures taken?” I smiled at that. I drove deeper onto the ranch, then parked and walked another 200 yards or so to a wooded area that was still smoldering. I think of myself as living in the country, which I do compared to the suburbs or a city, since Abby and I live on a seven-acre patch in a town where we can burn brush and shoot our guns. But then I go on these assignments, and see what it must be like to really live in the country. 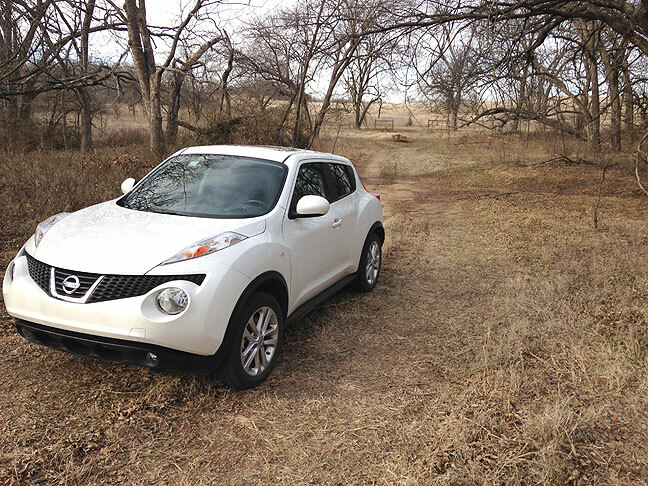 This is my Nissan Juke parked near a creek bed where I made images of yesterday’s wildfire. The Ada High cheerleaders yell for their wrestlers last week. That night they wore t-shirts with my photo of them. There are certainly degrees to which someone lives “in the country”. One way to measure is how many miles from the nearest paved road to the edge of your property — more than two miles for my late Meemaw. Or how many miles from your house to the mailbox (the closest point a federal employee is willing to come) — more than a mile for Meemaw. Ah, here’s a screenshot. 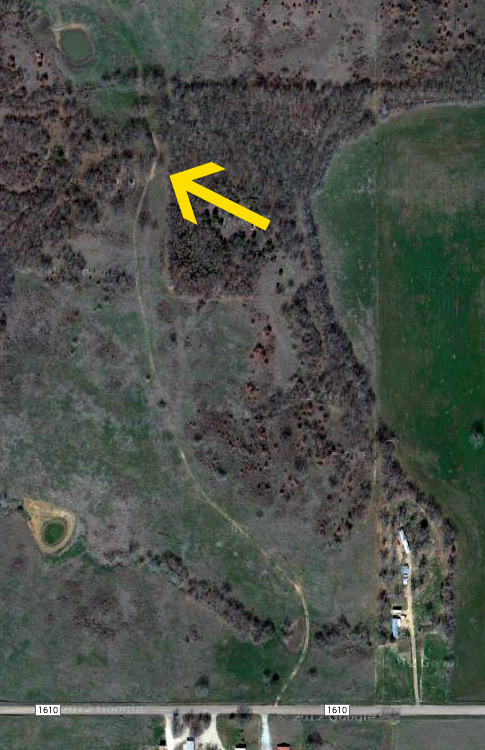 The arrow points to my late grandmother’s property, west of Bowlegs, Oklahoma. There is no paved road in this screenshot, which encompasses 1.1 miles vertically and is more than half a mile wide.